SJCAM didn’t attract much attention with the last action cam model, the SJ7 Star, and therefore went down a bit last year. To achieve this, its competitor YI Technology took the spotlight with the YI 4K+. 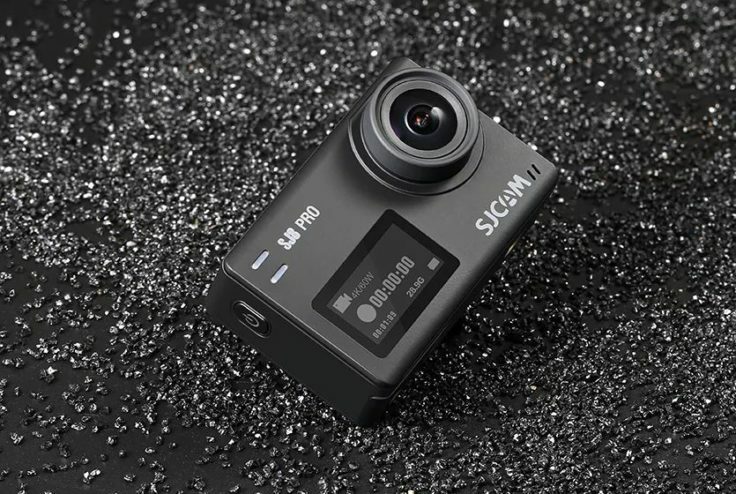 This should finally change with the SJCAM SJ8 Pro and other models of the series. The focus here is on the SJ8 Pro, the strongest of the three versions. After all, this will have to compete with the competition in the area of top models, while SJ8 Plus and SJ8 Air will receive a somewhat slimmed-down hardware configuration. Two packages are offered for each of the three versions. The camera is available both with the usual extensive accessory package and individually at a slightly lower price. Like the YI 4K+ and the GoPro Hero 6 (and the iPhone X), the SJ8 Pro will record videos in 4K at 60 frames per second. Electronic Image Stabilization (EIS) is supported up to 4K @ 30 fps. Full HD videos are possible at up to 120 fps, which means that correspondingly high-resolution slow-motion recordings can also be made. Also new is the improved digital zoom, which allows eight times magnification. You don’t have to use this function, because a digital zoom does not do more than reduce the image section. In addition to the camera, a waterproof housing, various accessories (mounts, screws, adhesive pads) and the USB cable are supplied. When it comes to accessories, one can certainly assume the opulent SJCAM standard. The camera is black. Like the SJ6 LEGEND it gets two displays; a 2.33 inch touch screen (640 x 360 pixels) and a 0.96″ display on the front is installed on the back. The small screen shows information about duration, resolution and battery level during recording. Built in is an Ambarella H22S85 chipset and a Sony IMX377 image sensor (12 MP; CMOS (Exmor R); 1/2.3″). The main features are the GPS function, live streaming, voice control and the possibility to connect an external microphone. The latter is probably made possible via the USB C connection. It is also new and replaces the micro-USB connection of its predecessors, thus enabling higher data transfer rates. The lens contains a total of seven lenses that avoid the typical distortion of the image. On the bottom side, next to the battery compartment, there is a standard thread for attaching the camera to tripods and holders. One point of criticism after the first announcement was the at that time rather small battery with 1000 mAh. This would quickly reach its limits with 4K recordings; the YI 4K, for example, has a battery with 1400 mAh. Now we are talking about 1200 mAh in the SJ8. What exactly this means in the end for the maximum film duration with the different resolutions will only be shown in the practical test. The SJ8 Plus is the middle model and differs from the Pro version in processor and image sensor. The Novatek NTK96683 provides 4K at 30 fps; the image sensor is the 12 MP Sony IMX117; apart from that, the cameras appear to be largely identical. The second display is missing on the SJ8 Air. More striking are the differences with the SJ8 Air, the “budget” version of the camera. Here it is obvious at first glance that the display on the front is missing. With the Novatek NTK96658, 4K videos are no longer possible, the maximum is 1080p at 60 fps. The camera is clearly not in competition with the 4K cameras of the competition. Instead, the YI Lite and YI Discovery are probably similar to YI, and should cover the mid-range price segment. So what can be expected from the SJ8? The three different models already indicated that the aim is to appeal to different groups of buyers. With less than $300 for the most expensive version, which is technically on par with the YI 4K+, one offers an alternative at least in price. The SJ8 Air is considerably cheaper at about $110, but according to the data, it is also a different camera. However, YI is already established with the 4K models, and is more likely to work on the successor models. Is the camera too late for SJCAM? Or do they manage to recapture the actioncam throne? What are your expectations of the camera, and which of the three models appeals to you the most?